Home Blogging What Is Conversion Rate Optimization (CRO)? We always end up speaking about Analytics. It’s because a rounded analytics strategy to understand how our campaigns performing. Google Analytics is the best place to easily see how visitor segments perform. Google analytics is a mechanism that offers comprehensive statistics regarding the visitors to a website. This powerful platform provides you with the tools you need to measure site traffic, conversions, and ad performance and understand how people use your website. But what is Conversion here? Conversion is often linked to a sale. In the digital era, defining conversion in such way seems biased. Conversion, in real, happens every time when a visitor completes a desired action on your website. It could be the subscription to a newsletter or a visitor buying your product. There are several other goals that can be tracked. Because some of these other goals contribute to revenue. 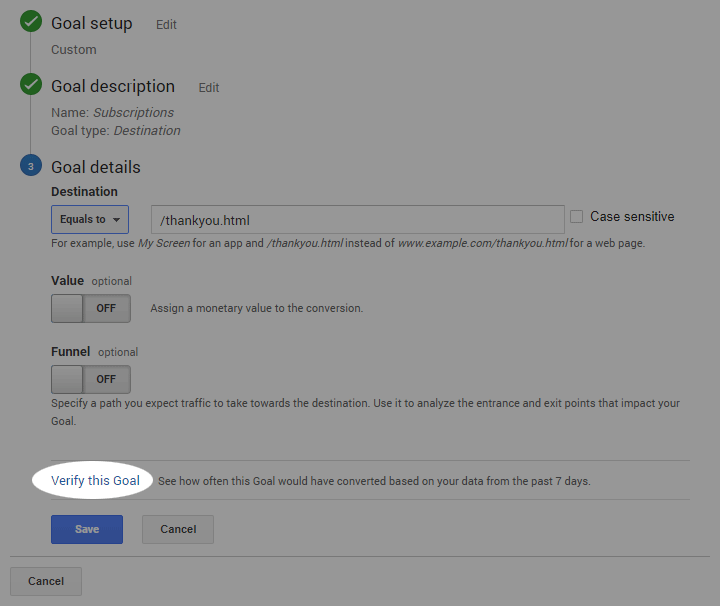 You can choose one of the 4 goals in Google Analytics. Let’s know how you can add them. In the left panel, Select Goals >> Overview. You’ll be asked to a choice of a set of templates, or a custom option. These templates are based on common use cases for Goals, and the list. Once you select a template, it will ask for Goal description, where you have to add the name of your goal and its type among 4. Destination: choose a URL, such as a receipt page or from the sign-up page that indicates a visitor has completed an action on your site that has value to you. Duration: Select a length of time in hours, minutes and seconds. Visitors who stay on site over this time threshold are counted as completing this Goal. Pages/Screens per session: Set a number. Visitors who visit more than this number of pages or view more than this number of screens in a mobile app are counted as completing this Goal. 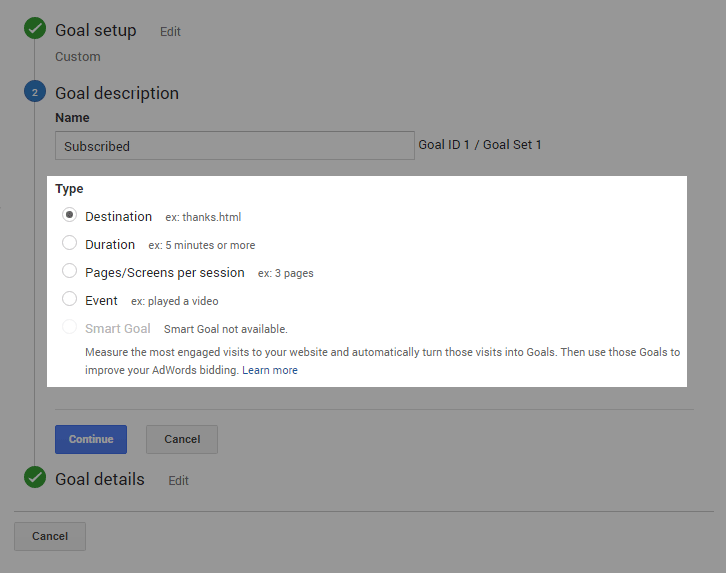 Event: This detailed Goal option allows you specify a category, action, label, and/or value of an Event. Visitors who match the criteria outlined here will count as completing this Goal. The most often used types are Destination and Event. Once you select the destination, it will ask you for Goal details. Click on Verify this goal and check all aspects by completing the conditions you set up in your goal. Hence, you are done by creating your goal. Then what is conversion rate? The conversion rate is used to monitor the conversion on a web page. By taking the number of conversions and dividing that by the number of total ad clicks, conversions are calculated. 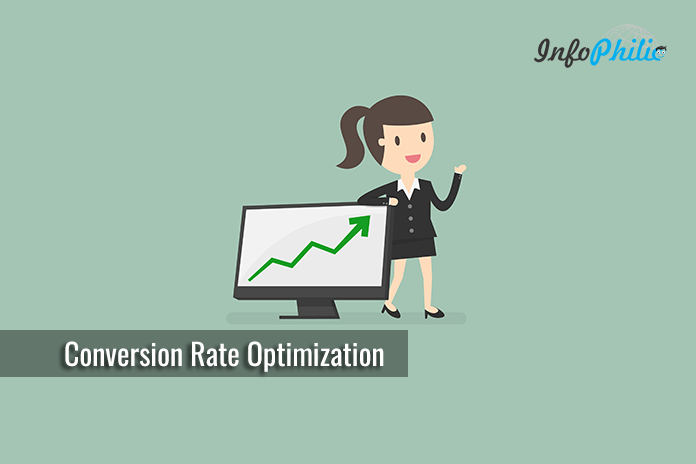 In other words, a conversion rate is an average number of conversions per ad click, shown as a percentage. 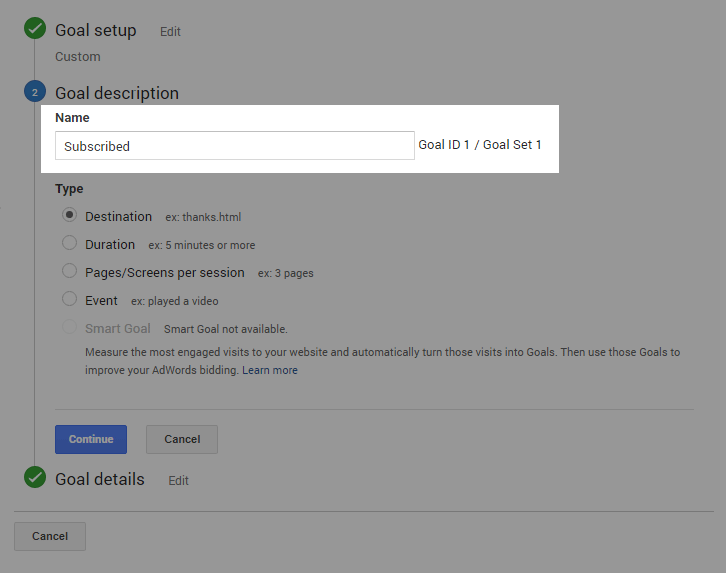 Login to your Google Analytics accounts to see the conversion rate of each goal. Select the Goal you want to analyze the goal conversion rate of. You will see a report for the goal you chose. Describing in short, Conversion Rate Optimization is the system that processes for maximizing the percentage of website visitors who take the desired action. It is a simple idea and can be really effective. For CRO, you have to know where, what to optimize, and who to optimize for. Improved customer insights: It will help you better understand your key audience and find what language or messaging best speaks to their needs. Better scalability: CRO lets you grow without running out of resources and prospective customers. Better Return on Investment (ROI): Higher conversion rate means making more of the resources you have. For better CRO, I have listed the cornerstone of successful CRO strategies. Doing your quantitative analysis first is especially valuable if you have a large site with diverse content as it lets you know where to focus your efforts on various perspectives. The very basic method involves quantitive data analysis from Google Analytics. It gives you a large number of how people actually behave on your site. Site Speed: Slower site speed leading to fewer conversions. Using site speed through Analytics, you can measure by site overall or break it down into specific pages. Goal Funnel Visualization: Through Goal Funnel Visualization, you can see how many users dropped off at each step, indicating areas of optimization. You can also measure how users are interacting with our site and how long it’s taking them to convert. Exit %: Exit % can tell you who visited multiple pages and on their last page and who decided to leave the site. Acquisition Overview: Acquisition Overview section could tell about what types of visitors are converting at a higher rate as well as what other types of visitors aren’t converting at such a rate. In other words, this is an area for improvement and where we could focus our CRO testing. All these metrics are tested and proved successful. 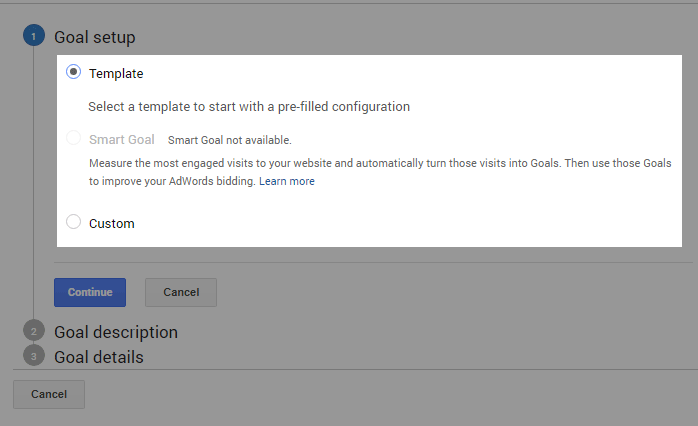 I hope you are now ready to hit Google Analytics with setting up your conversion goals. Now, Get up and start to map your goals, gain insights, optimize them and take a step forward to top ranking and successful website.